Angle type Globe Valves are designed and manufactured according to Standards BS1873, ASME B16.34 or DIN3202, and special customers’ requirements.designed with a 90 degree between inlet and outlet to suitable for the angle pipe, Featured with compact structure & Tight shut off service.Angle type globe valve according to API and DIN is applicable to the cutting and connection of pipelines medium that are used in various industries such as petroleum, chemical industry pharmacy, chemical fertilizer, electric power industry etc under nominal pressure of PN 1.6-16Mpa and working temperature of -29-350 ºC. 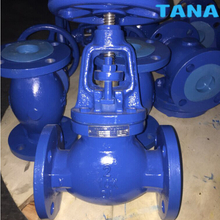 ANSI Cast iron flanged globe valve is recommended for service in commercial and industrial applications, including hot and cold water, HVAC, steam, compressed air, gas and other general utility services. Globe valves are recommended for throttling or regulating flow. 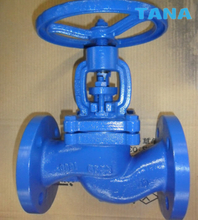 TANA cast iron Flanged globe valve has flanged end connections for ease of installation. This valve features renewable seat and disc. The bolted bonnet makes the valve convenient to maintain. Because of its seat and disc arrangement this valve is ideal for throttling or regulating flow. 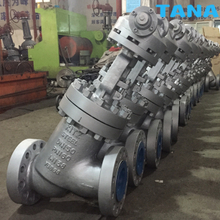 Please refer to TANA technical data sheets, chemical resistance guides and catalogs for engineering and installation information.globe valves for the most specified, versatile and economical valve option in commercial, mechanical and industrial applications. 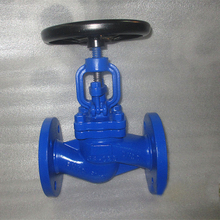 Forged steel globe valves are available in three bonnet designs. The first design is the Bolted Bonnet, with male-female joint ,spiral wound gasket, made in F304/graphite. Ring joint gasket are also available on request. The second design is the welded bonnet with a threaded and seal welded joint. On request a full penetration strength welded joint is available. The third design is the pressure seal bonnet, with a threaded and pressure seal bonnet joint. DIN bellow seal globe valve that its opening and closing is plug valve, sealing surface appears flat or cone, disc make linear movement along the center-line of fluid. Stem form of exercise, there is lifting lever (valve rod, the hand wheel (not lifting), there are also lift rotating lever (hand wheel rotating lifting with the valve stem and nut in the body). 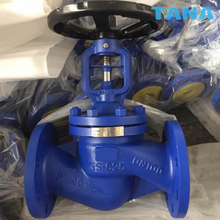 Globe valve is used for full open and closed,but not to adjust the flux. DIN Bellows Seal Globe Valve is a new kind of globe valves with dual-seal. So its sealing is very good. The sealing surface is bead welding with hard alloy and the stem surface is in"nitrogen treatment". Hence it is the valve of attrition-resistant, good anti-corrosion performance and long service life. 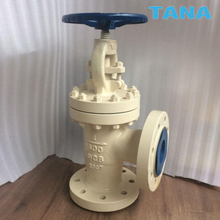 DIN Cast iron flanged globe valve is recommended for service in commercial and industrial applications, including hot and cold water, HVAC, steam, compressed air, gas and other general utility services. Globe valves are recommended for throttling or regulating flow. 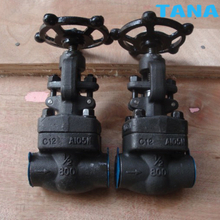 TANA cast iron globe valve has flanged end connections for ease of installation. This valve features renewable seat and disc. The bolted bonnet makes the valve convenient to maintain. Because of its seat and disc arrangement this valve is ideal for throttling or regulating flow. 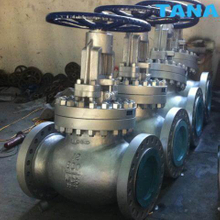 Please refer to TANA technical data sheets, chemical resistance guides and catalogs for engineering and installation information.globe valves for the most specified, versatile and economical valve option in commercial, mechanical and industrial applications. Y type globe valve with its stem and passageway forming a certain angle, and its seat sealing face and inlet and outlet passageways forming a certain angle. It is divided into left and right parts with a seat between them. The bolt connecting the two parts can be dissembled to replace the valve seat. An anti-washing and anti-corrosion protection plate is set in the cavity of the valve body. 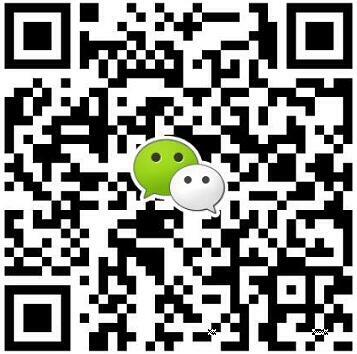 The valves are widely used in chemical fertilizer, mining, metallurgy, aluminum oxide and other industries. 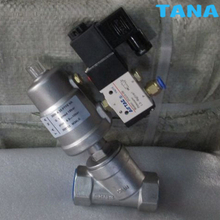 Pneumatic Angle Seat Valve is a 2/2-way pneumatically actuated piston valve for liquids, gases, steam and some aggressive fluids (vacuum services also.) The superior design of the piston is unique to the market, enabling the plug to retract farther from the flow path, ensuring the highest flow capacity. The dual packing design, and a large diameter self aligning stem insures the highest cycle life. A full range of accessory items are available including limit switches, solenoid valves, manual override devices, stroke limiters. Wenzhou Topnotch Machine Co.,Ltd is a professional leader China Angle type globe valve,cast steel globe valve,forged steel globe valve,y type globe valve,Bellow seal globe valve,cast iron globe valve,flanged globe valve,cast steel globe valve,Bolted bonnet globe valve,Bellow seal globe valve manufacturers and suppliers with high quality and low price.Welcome to contact us!